CEO Louis Camilleri confirmed the car’s 2019 debut on an earnings call on Jan. 31 but gave no further details. A source familiar with the project said the car will have a V-8 gasoline engine coupled with an electric motor. It will sit at the top of Ferrari’s sport cars range and will offer more hp than the 488 Pista, Michael Leiters, Ferrari’s chief technology officer, said at the company’s capital markets day last September. Giving the car a hybrid drivetrain will help boost its performance while making it fuel efficient and so lowering CO2 emissions. The car will not be unveiled at the Geneva auto show next month but it will make its debut later this year at a specific event, the source said. Its profit margin will be much higher than the 12-cylinder 812 Superfast, Camilleri said. His comments on its profitability came because financial analysts say Ferrari needs to improve its product mix and have expressed concern that V-8 cars are less profitable than V-12 models. The midengine V-8 car will be Ferrari’s second-generation hybrid. Previously the company developed a kinetic energy recovery system called KERS for Formula One racing that was also used on a road car in the V-12 LaFerrari in 2013. Camilleri confirmed to analysts that 60 percent of Ferrari’s product portfolio will have hybrid variants by 2022. He confirmed that Ferrari will launch a full-electric car after 2022. Camilleri said first reaction to Ferrari’s upcoming Purosangue SUV, announced last September, have been very positive. "It is a segment that's clearly is growing, he said. "A lot of our customers would love to have a Purosangue to use on a daily basis." Ferrari shipments rose 10 percent to 9,251 last year. Camilleri said the automaker "may cross" the 10,000 annual sales number this year but indicated that going forward, the company will focus on revenues and margins rather than higher volumes. “I wouldn't anticipate that the volume growth would continue at that sort of pace," he said. Raising sales without compromising profit margins was an ambition of Ferrari’s former CEO, the late Sergio Marchionne. He clashed with his predecessor Luca Cordero di Montezemolo, who wanted to limit volumes to 7,000 cars a year to safeguard Ferrari’s exclusivity. 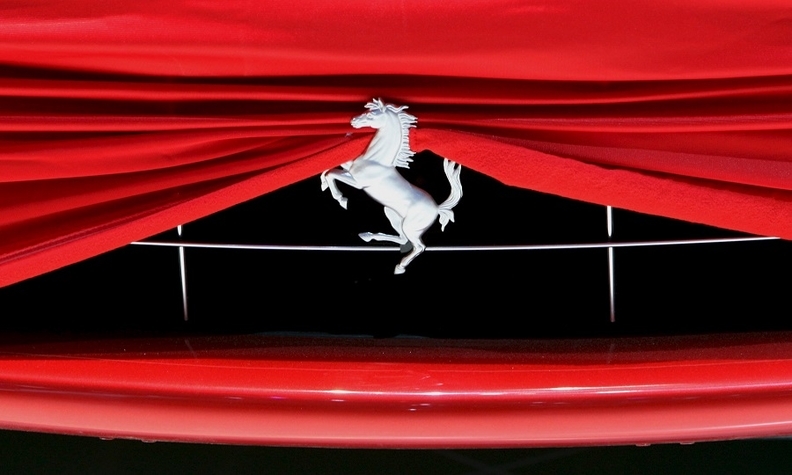 Ferrari said on Jan. 31 that fourth-quarter earnings rose 6 percent to 274 million euros ($314 million). While shipments rose 10 percent in 2018, revenue was flat at 845 million euros, highlighting the need for the automaker to launch higher margin models. Camilleri said Ferrari projects a positive mix for 2019 as the new launches hit the market. These will include the "highly profitable" Monza SP1 and SP2 supercars, whose first shipments will reach customers in the fourth quarter, he said. Ferrari will build 500 units of the two Monza models that retail for 1.6 million euros in Italy, where an 812 Superfast starts at 300,800 euros. Ferrari said on Jan. 31 that fourth-quarter earnings rose 6 percent to 274 million euros ($314 million). EDITOR'S NOTE: An earlier version of this story misstated the hp rating for the 488 Pista.